I have a few projection lenses that can be adapted for taking photos with. The catch is these lenses have no aperture control, so they can only be shot wide open. 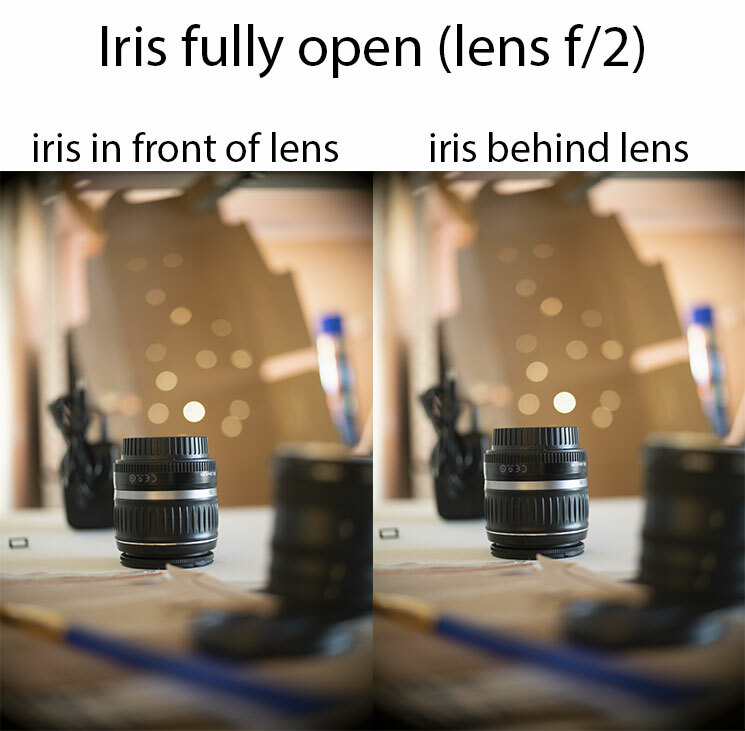 I thought that it should be possible to add an iris either in front of or behind the lens to overcome this problem. 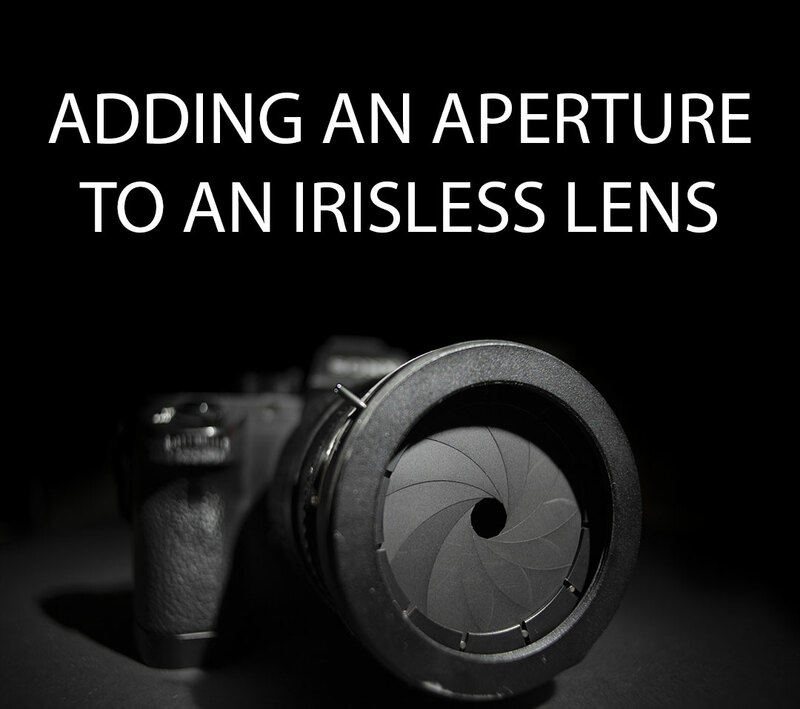 In this article I'll share my results, comparing a lens with a built-in iris, placing the iris behind the lens, and placing the iris in front of the lens. 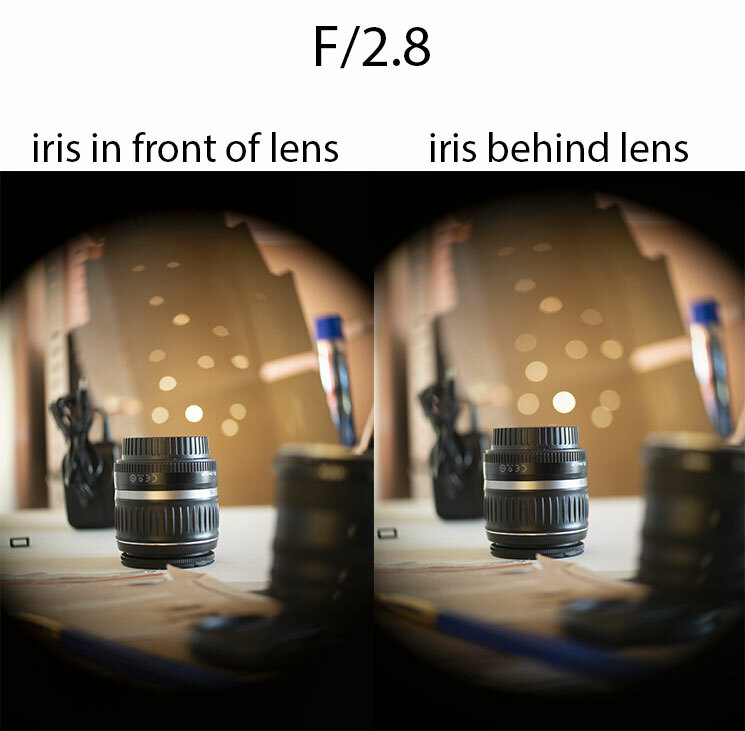 But if you want the quick answer, if you want aperture control then you'll need to buy a lens with a built-in iris. For the aperture control I purchased a 50mm - 2mm iris from eBay. I then epoxied a 58mm step up ring with the female thread removed to one side, and a 58mm step down ring with the male thread removed on the other. 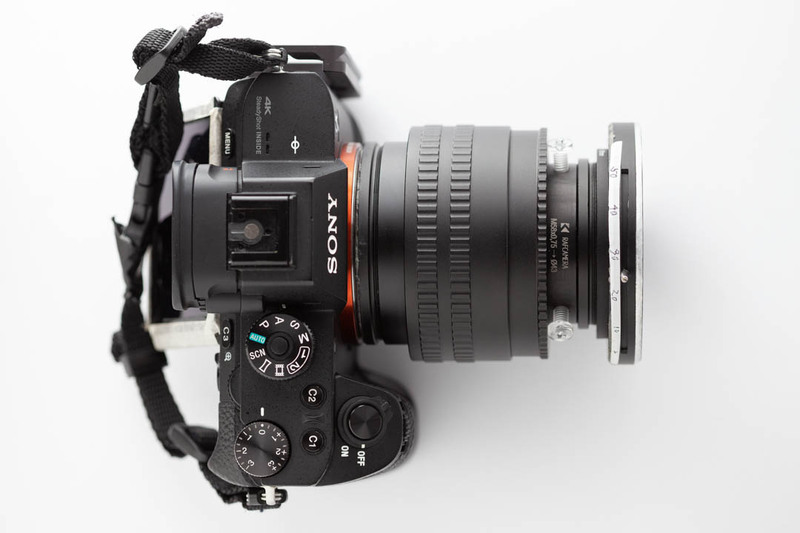 This allows mounting the iris on a M58 mount or to a lens / stepping ring with a 58mm thread. The iris doesn't have any markings on it, so I used some calipers to measure closing the iris down at centimetre intervals, and marked the position of the control lever at each interval. For setting the aperture I can then make a decent estimate of where the lever should be positioned. E.g. for a 50mm lens at f/5.6 the aperture should be 50/5.6 = 8.9mm, so I can position the lever just before the 10mm marking. 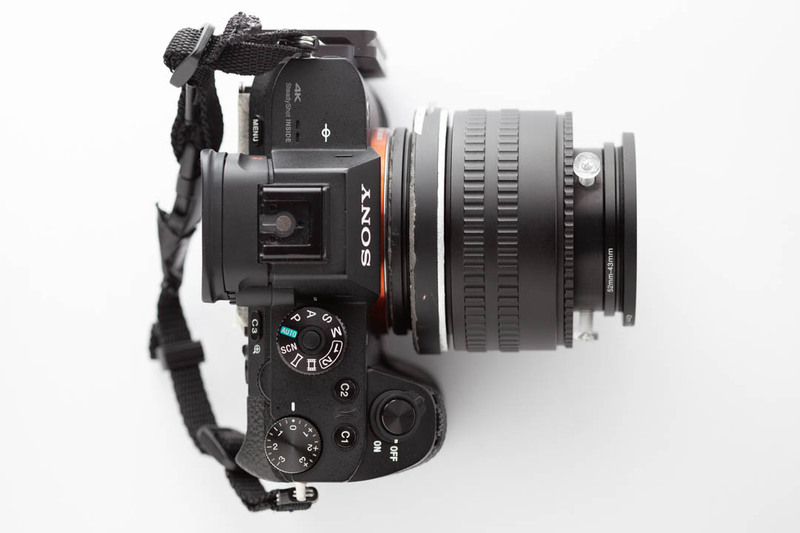 Aperture mounted behind the lens. (One of the disadvantages of a screw thread mount is when you've screwed it in the control may be off to the side or even underneath). 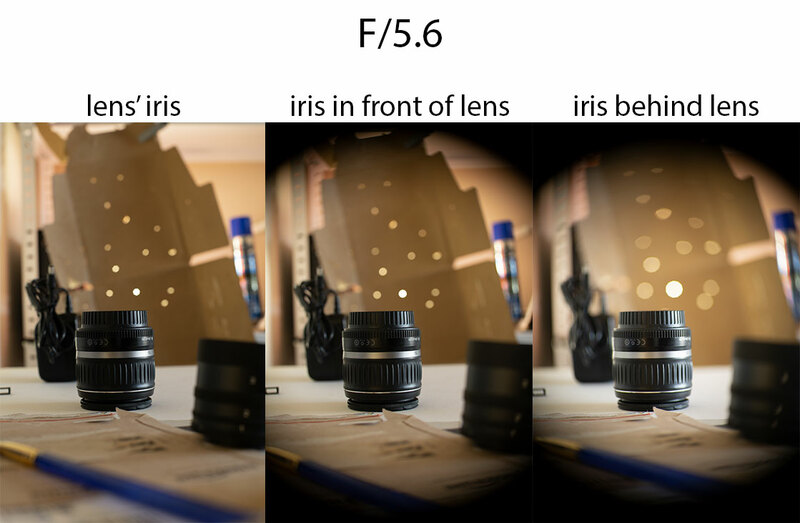 For testing the effectiveness of the iris, I took a set of images with my Nikon 50mm/1.4 AF-D lens. I first took images from f/1.4 to f/5.6 using the lens' built-in aperture. 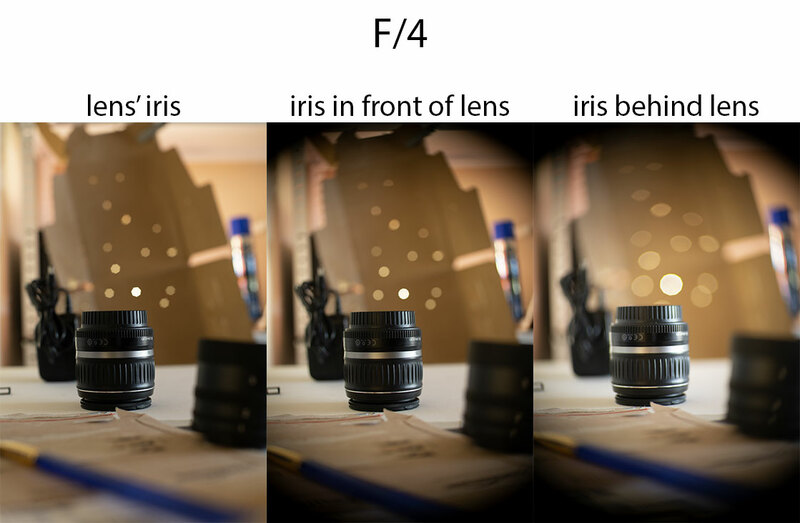 I then opened up the lens to f/1.4 and added the iris in front of the lens and took another set of images with the external iris from f/2 to f/5.6. Finally I added the iris behind the lens and did the same. However, I had to set the lens' focus slightly further away and manually hold the lens against the iris as the total flange distance was too long. 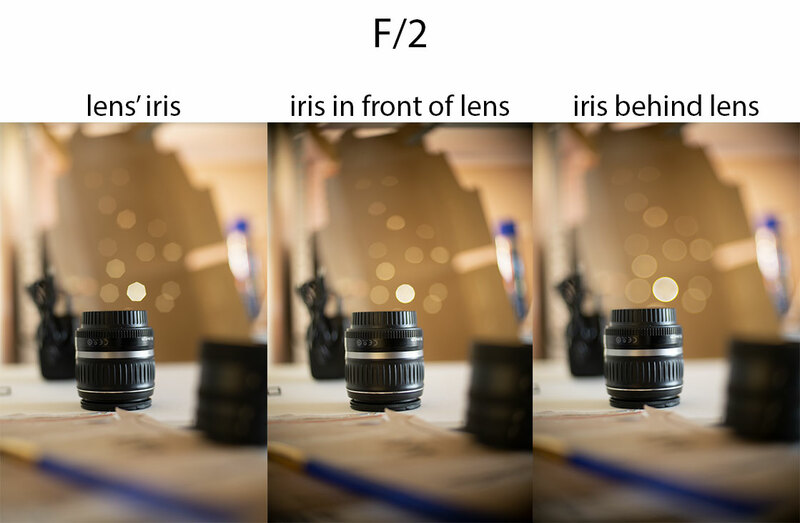 It's obvious from these images that having an external iris in front of or behind the lens doesn't work too well. You get heavy vignetting rather than just more in focus. 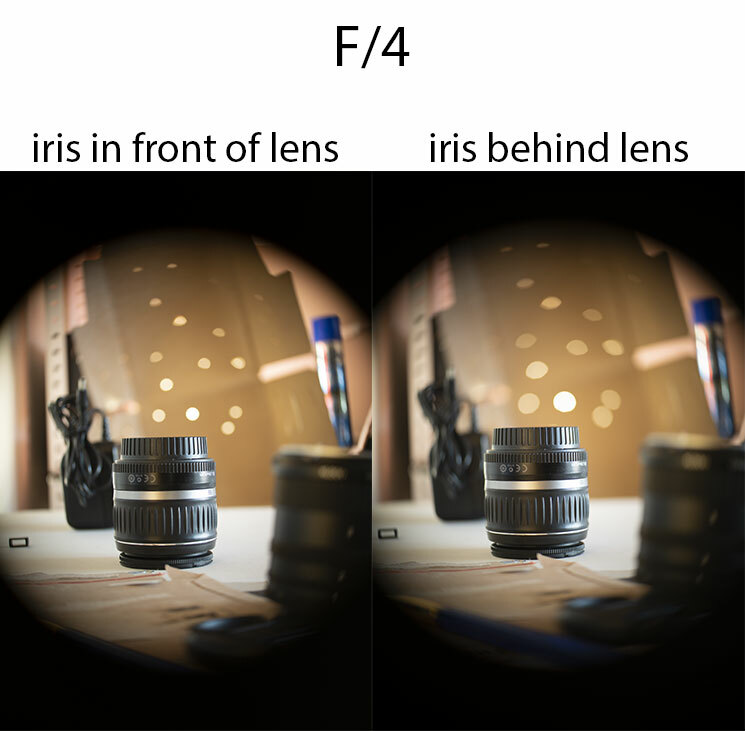 Placing the iris behind the lens doesn't seem to affect DoF at all, it just creates vignetting. Which makes me wonder about those non-electronic Canon EF lens adapters for mirrorless cameras, where the adapter has a built-in aperture. Surely they wouldn't work? I then tested again with a 50mm/2 projector lens. 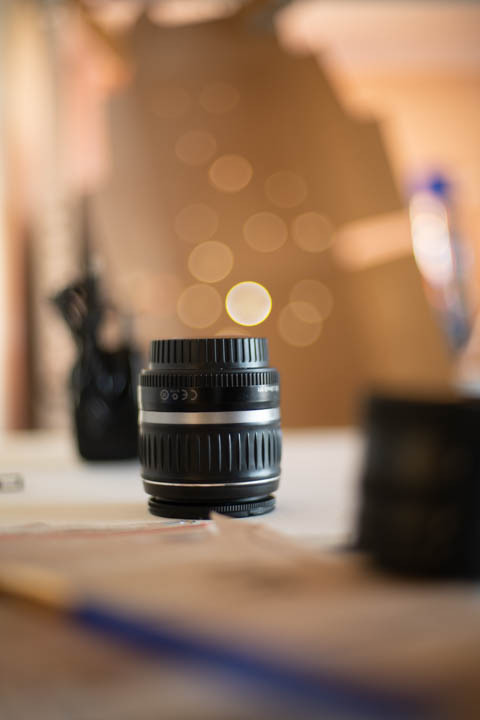 I thought that maybe projector lens construction is different and they will work better with an external aperture. Obviously there is no comparison with the lens' built-in aperture here, since it doesn't have one. I did, however take test shots with the aperture set to f/2, which I thought shouldn't affect the image since the lens is f/2 anyway. You can see results are the same with the projector lens as with the 'normal' lens. Additionally, setting the iris to f/2 adds quite a bit of vignetting. 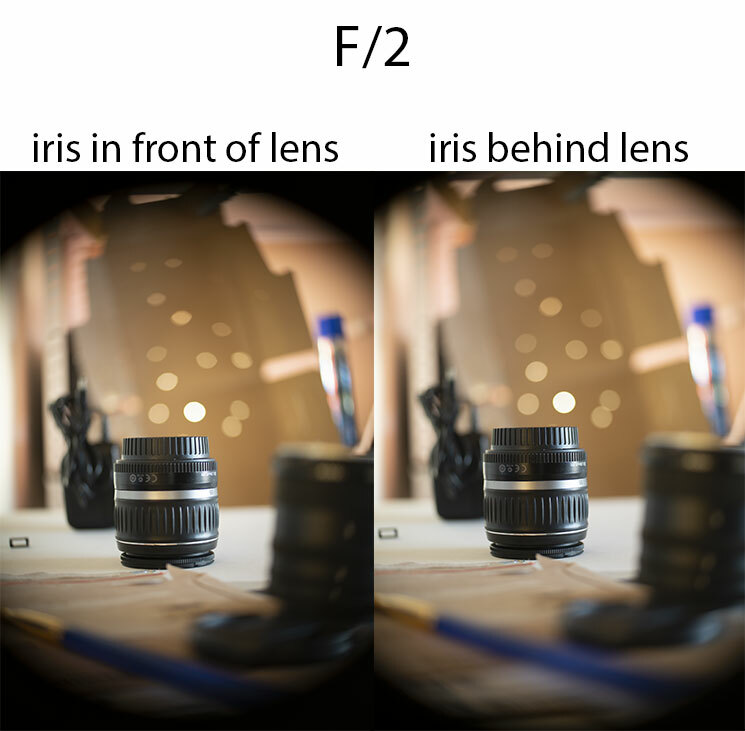 So if you did want to add an iris in front of a lens, then you should ensure its max aperture is larger than the lens' max aperture. In summary, with irisless lenses, you're best off accepting the fact you can only shoot them wide open. Rather than trying to work round this limitation, just try and find subjects / compositions that make the most of the shallow DoF instead. I am so glad I found this. You did EXACYLY what I was intending to try. Attempting and writing about your awesome attempt has saved me so much work! I am disappointed, but really dude, thank you! I had the same question. Thank you for going through all that work-really good information.